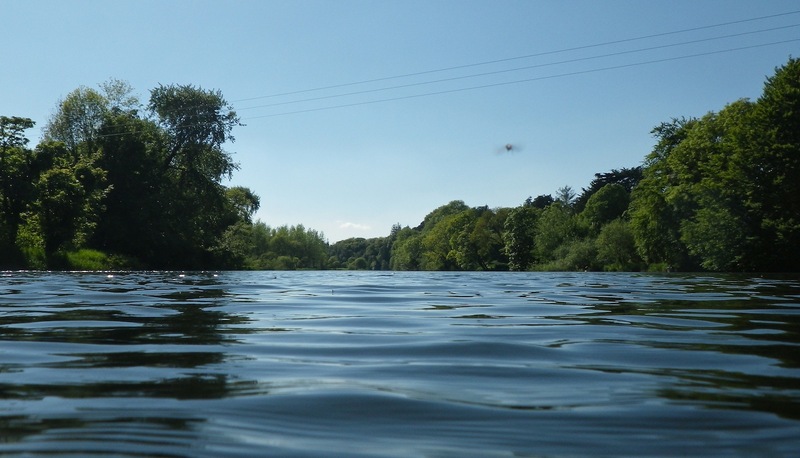 The swim will pass under eight bridges: Fermoy Bridge, the M8 motorway bridge in Fermoy, Carrigabrick Viaduct, Ballyduff Bridge, Cavendish Bridge in Lismore, Avonmore (formerly Victoria) and Red Bridges in Cappoquin and the New Bridge in Youghal. 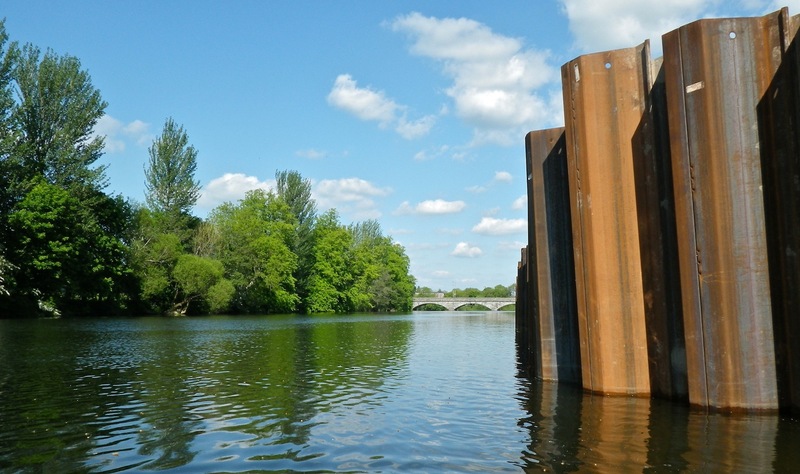 With the exception of the M8 motorway bridge, Carrigabrick Viaduct and the Red Bridge in Cappoquin, these bridges are good vantage points from which to spot the swim. Another very quick post just to confirm that I did complete my Round Jersey solo swim on Wednesday, 24 July in a time of 9 hours 35 minutes. I beat the Nick Adam’s record for the fastest swim by a male by 15 minutes and was only 3 minutes behind the overall record held by Julie Farrell. I am now the fastest man and second fastest person to have swum around Jersey so I am delighted with this result. 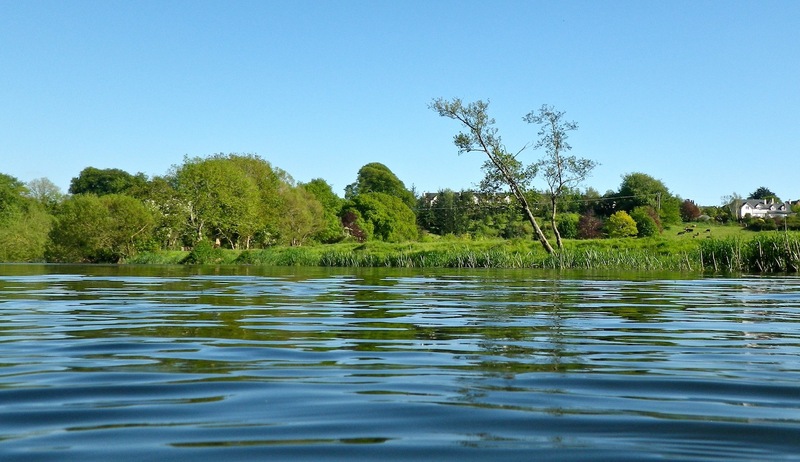 It was the perfect day for the swim: a great spring tide, no wind, warm sunshine and water temperatures between 16ºC and 17ºC. I also had a fantastic crew headed up by pilot Mick Le Guilcher and first mate John Asplet with local Round Jersey swimmers Alice Harvey and Chantelle Le Guilcher observing, feeding and giving great support. Martin Powell also kayaked with me for the first 2 hours. All of the Jersey Long Distance Swimming Club were very welcoming and hospitable. I received cards, chocolates, Jersey fudge and a heap of other niceties at the end of the swim. 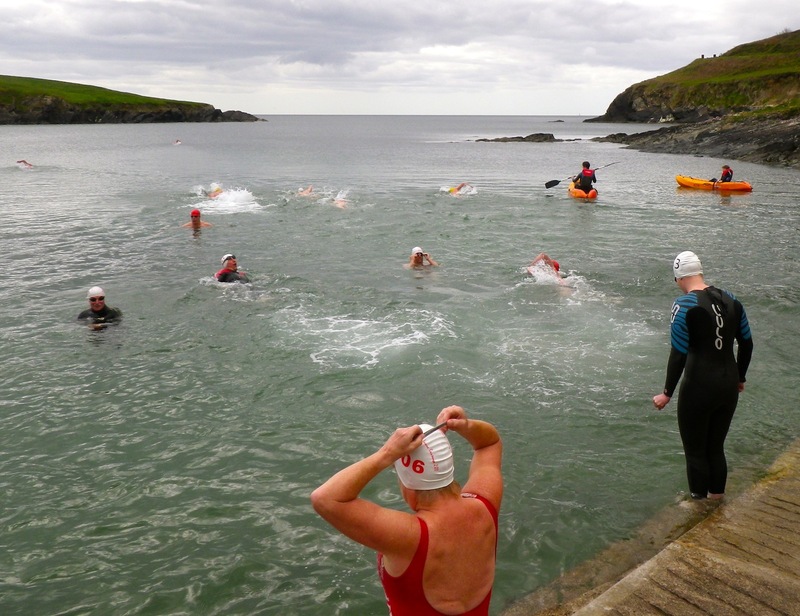 Today is the last day for entries for the Martin Duggan Memorial Swim 2013. Entries will close at midnight tonight and the starting list will be published tomorrow morning on the event website (click on event logo below). Official MDMS logo (click to go to the event website). 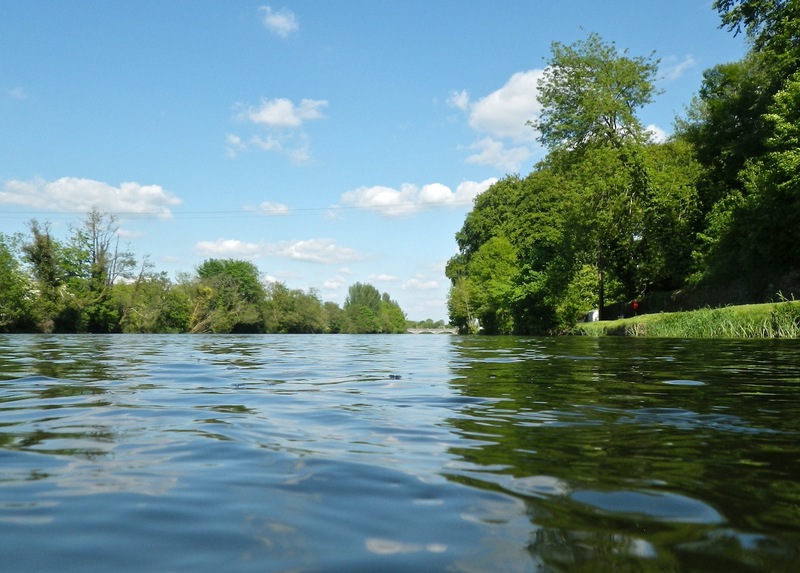 This is a friendly 2 km race in the River Blackwater in Fermoy and is open to all members of Swim Ireland-affiliated clubs and swimmers from overseas who are affiliated to their national governing body for swimming. The entry fee is €25 for those who will be 18 years of age or older and €15 for those who will be aged 12 to 17 years (inclusive). There are four vouchers worth €25 each for The Edge Sports in Cork to be won on the day and a perpetual shield for the youngest swimmer. 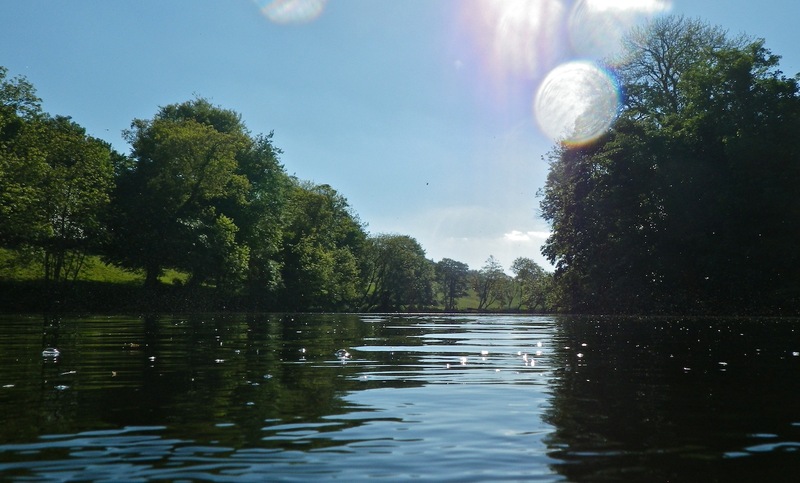 I took this photograph about two weeks while swimming the course of the Martin Duggan Memorial Swim. What a great venue for a race! The weather was great so there was a good crowd present to join Liam and Carol for their last lap of the island before the big swim. 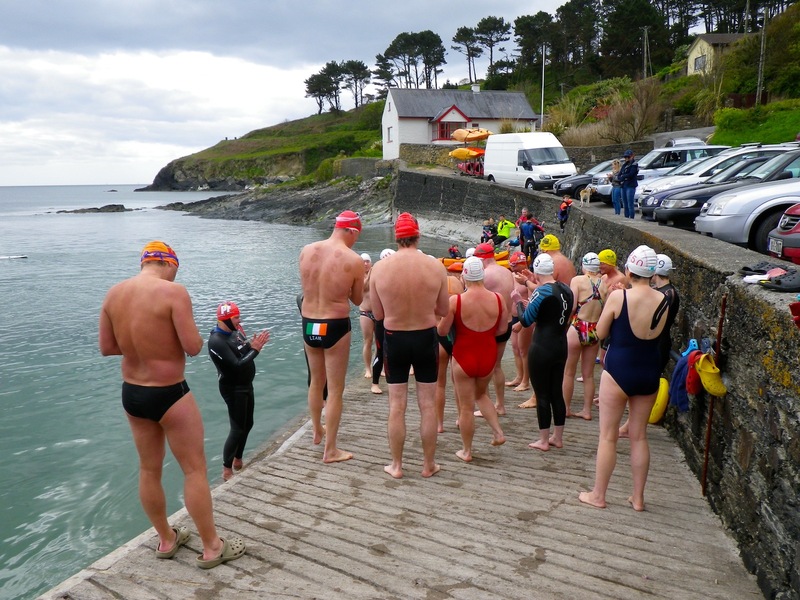 Before we arrived however, there were already four swimmers in the water – Donal Buckley, Ciarán Byrne, Finbarr Hedderman and Rob “The Bull” Bohane – finishing their third lap that morning! And they’re off, maybe just fix the goggles first! Liam & Carol at the second corner. 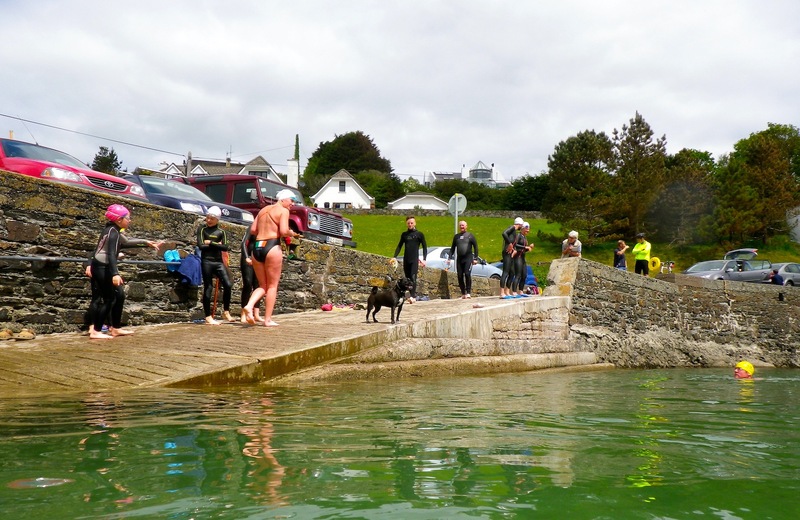 The water was very calm and the air was mild – this is unusual for Sandycove this year! 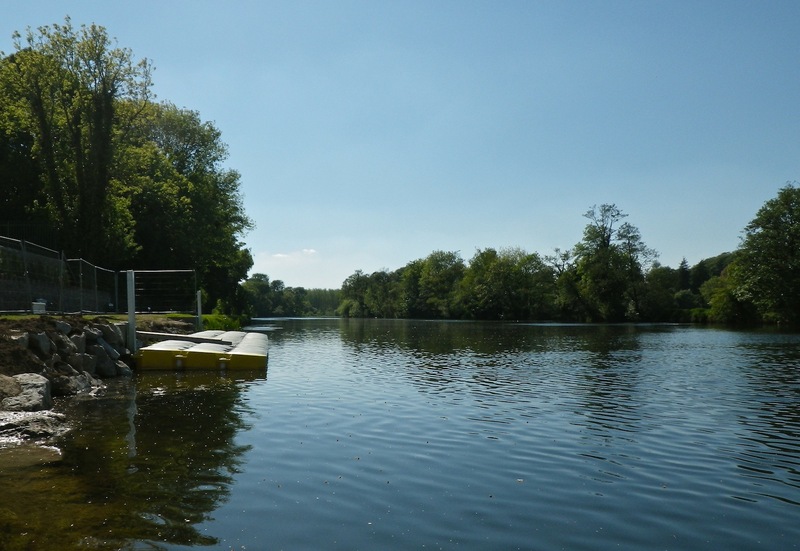 Temperatures in the water had risen also – it was about 11ºC on the day. This allowed us to stop for a chat and a few photographs at the far corner of the island. I was happy enough to finish after one lap but a few made it worth their while getting wet and went around a second time. The sea is warming up now so I will be doing multiple laps from now on. This was a social swim, though, so there was no need to push myself. Carol finished, more ready to head off. After the swim, there was a great BBQ and spread put on by Liam and Kaye and many others contributed also. There was a great atmosphere afterwards and it was a great way of sending off our swimmers. Best of luck, Liam and Carol! Well, today is the first day resembling summer! 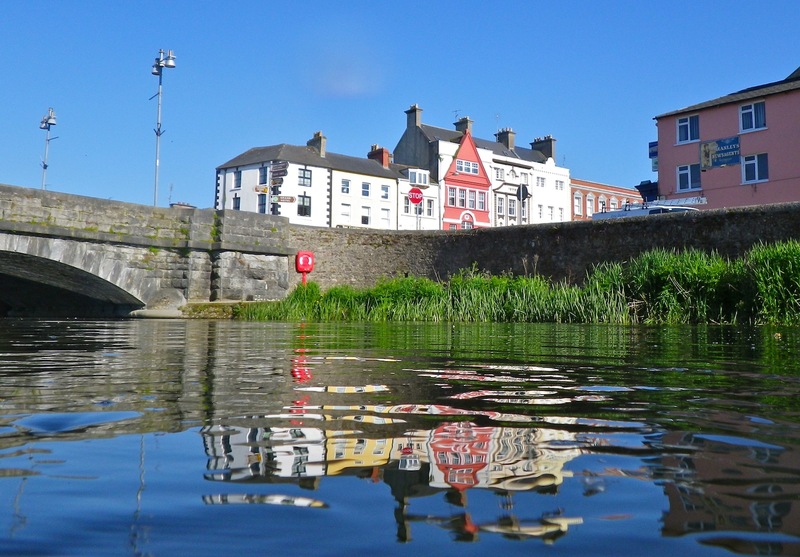 It’s very sunny, very warm (17ºC) if a little windy here in Fermoy and the forecast for the next week is reasonably good. This brings great relief as it seemed for a while like the summer would never come. 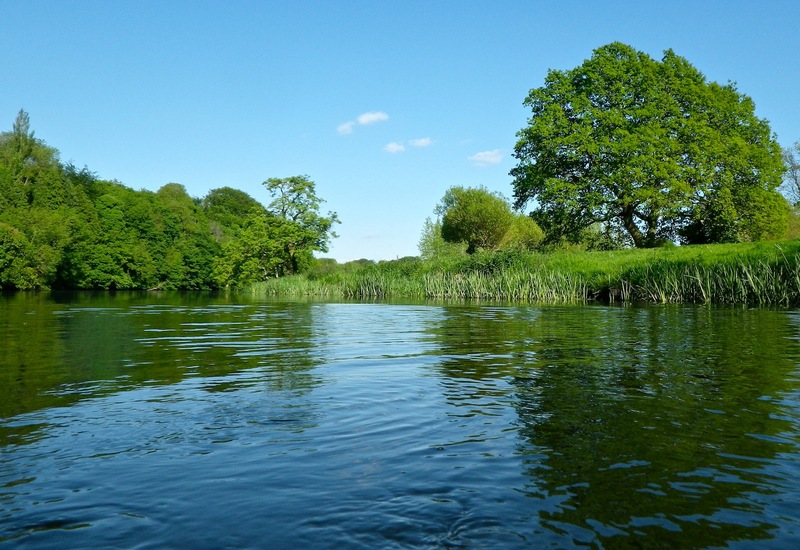 The water has been very cold but now it has some chance of heating up – good news for those os us planning 2 and 6 hour qualifying swims for the next few weeks! I leave for Dover on 7 July, the day after the Lee Swim, for our Crosóige Mara 2-way English Channel relay and won’t be home before my Round Jersey solo window opens on 21 July. 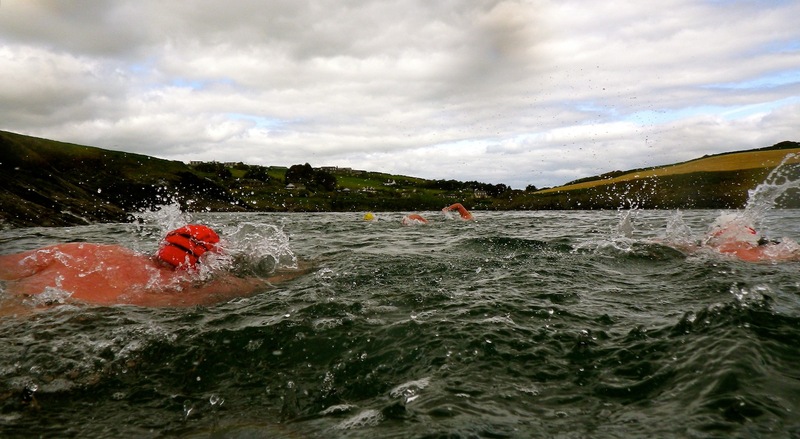 This leaves me with just the month of June to complete my 6 hour qualifying swim for the Jersey swim – doesn’t sound too daunting, but the weather so far this year hasn’t helped… Things are looking better now though so it’s just a case of getting the metres in the shoulders and the hours in the water. Being a student means that I don’t have any excuses in terms of not having the time. We’ll get there! At the end of the summer, ideas for swims come flowing into my head as though I could do anything after a long winter in the pool! Last year, an idea hit me to swim from Tory Island to mainland Donegal, a distance of eight and a half miles. I knew that it could be done as it had already been done by Anne Marie Ward from Donegal, Kieran Fitzgerald from Sligo and others. It had been in the back of my mind to do it since I was in third year of secondary school, when I heard, in an Irish listening comprehension test, about Anne Marie’s swim of over eight hours. 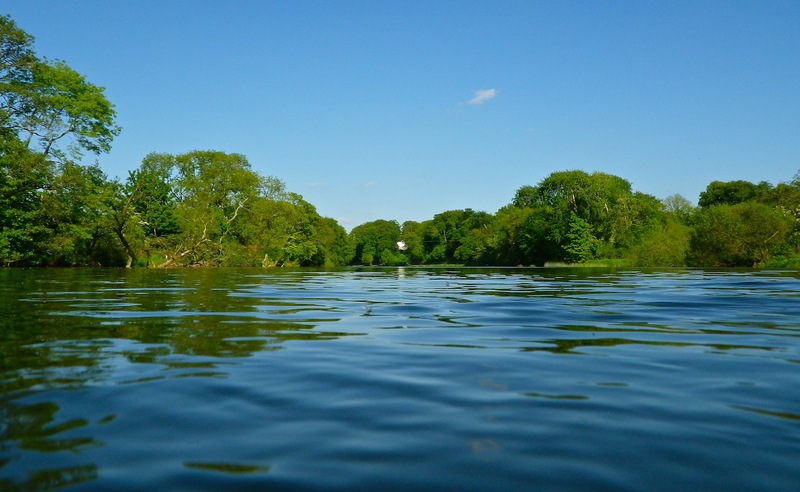 Recently, I have come to know Anne Marie and, last winter, she offered to help me in whatever way she could if I wanted to do this particular swim. Without further delay, I decided to give it a go! Straight after coming home from Dover, I saw on the weather forecast that there was to be a good day on the Friday of that week. I called Anne Marie and we arranged to meet in Letterkenny on the Thursday. It was a long arduous journey from Fermoy to Letterkenny! After meeting Anne Marie at the bus station, we headed north for her house, we had a bite (actually a big meal) to eat and put together all of the things that we would be needing during the swim. Finally, Anne Marie called Brendan Proctor, the man from the sub-aqua club and he said the weather would be good enough in the morning to swim from the mainland out to Tory, rather than the other direction. Going ashore at Magheraroarty beach for the official start! In the morning, we got up early and drove to Magheraroarty, the starting place. On our way there, we passed through places that I had only ever heard about on the radio, Gortahork and so on. When we arrived at our destination, the sun was shining and there was little wind. Magheraroarty is a beautiful place, with a large pier, white sandy beach and clean clear water. After a while, Brendan and John Joe from the Sheephaven Sub-Aqua Club arrived with the boat. I put on my togs, hat and goggles. Then, we all got on board, we turned on the GPS tracker and I swam into the beach for the official start. The same rules that apply to English Channel swimming apply for swims between Tory and the mainland. Because of this, I had to go ashore to start the swim properly. As soon as I was on dry sand, I turned around, ran back into the water and started swimming in the direction of Tory! 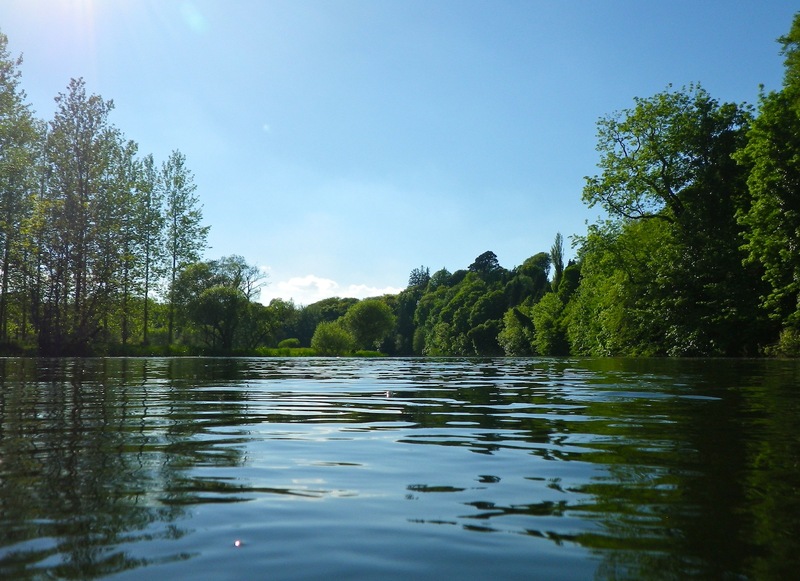 I was very happy at the start of the swim; the sun was shining on my back and the water was much warmer than I had expected – a pleasant 14.5ºC today. As well as this, there wasn’t a jellyfish in sight, something that put me at ease! After a few minutes, the ferry came against us and we got a big wave from all on board. As I was swimming on the west side of Inishbofin, it became cloudy and the wind started coming from the West. This wasn’t the ideal wind direction as we wouldn’t get the same assistance from a westerly wind as we would from a southerly wind, and it was a southerly wind that was forecast. In any case, I kept swimming from feed to feed. After about an hour and a half, we cleared the shelter of Inishbofin and entered the Tory Sound. The tide was running from East to West, directly into the wind, and because of this the waves rose slightly. This didn’t bother me too much as the lee of the boat was giving me some relief from the wind and waves. We continued on like this for about another until the sun came out again. About three hours into the swim, the waves became much higher for between thirty minutes and an hour and there were white horses on them. That was a tough half hour to an hour. At the last feed, however, it calmed down a lot and that gave me a chance to go ashore at my ease. The finish is in sight at last! I was very relieved when I was able to see the bottom underneath me as I was starting to get some pain in my shoulders by that time. Once we got to the pier, Anne Marie pointed out the beach to me and I swam into it. When I arrived at the beach, 4 hours 21 minutes after I started, I stood up on the sand. There was a crowd of children on the beach, the Islanders’ children, and after a few words with them, I turned around and there was a good crowd on the pier as well. I was very surprised as there’s usually no such welcome at the end of a swim like that. Coming into the beach in the harour on Tory Island. After a minute, I spotted an older man coming across the beach. One of the children warned me that it was the King of Tory. The King, Patsaí Dan Mac Ruaidhrí, gave me a big welcome and said that it was a great honour for the Islanders that someone had swum out from the mainland. With that, he introduced me to his family and the Islanders and asked one man to take us back to his house and make sure that we got a shower and a cup of tea. With the King of Tory, Patsaí Dan Mac Ruaidhrí just after the swim. After having a shower and a cup of tea with biscuits, we went back to the harbour. Then, we decided to go to Caife an Chreagáin for some food. On our way there, we met the Queen of Tory who was looking after a young falcon who had landed in Tory after going astray from County Clare! He was a magnificent bird. We met Patsaí Dan again in the café and we all had a great chat. After eating our fill, we went back to the boat and hot the waves. But before we could leave, a young boy asked me if I was going to swim back to Magheraroarty because the “rule” is that if you come on the boat, then you can go home on the boat, but if you swim out, you have to swim back! Half an hour after leaving Tory, we were almost back at Magheraroarty pier, but our adventure was not over yet. Suddenly, four or five bottlenose dolphins came right up to the boat. They stayed with us, playing, for about ten minutes. That really made our day! That was pretty much the end of the day, a long day, but an enjoyable one at the same time. 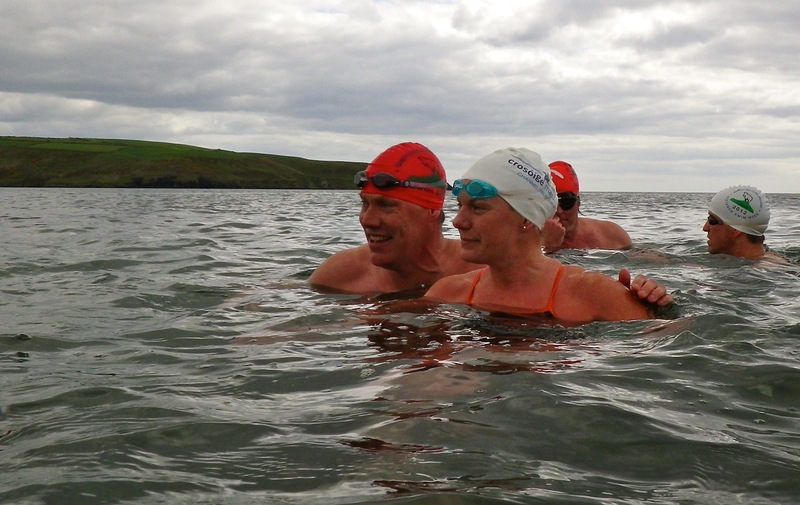 The excitement continued for a few days after the swim; it was in the local papers in Donegal that a young man, from Cork even, had swum from the coast out to Tory and Anne Marie and I had to do an interview with Áine Ní Churráin on the programme “Barrscéalta” on RTÉ Raidió na Gaeltachta. The Hills of Donegal and Magheraroarty beach. I’d like to thank Anne Marie Ward for all her help and advice in organizing this swim and during the swim itself. I’d also like to thank Brendan Proctor and John Joe Roland from the Sheephaven Sub-Aqua Club for their great support! Finally, thanks to the people and King of Tory for the great reception that they gave us at the end of the swim. I dedicated this swim to the memory of my friend, William, who died in the days just before the swim. RIP, Will.